It’s the largest flower show by area on earth and we love it. It just quite simply never fails to impress. 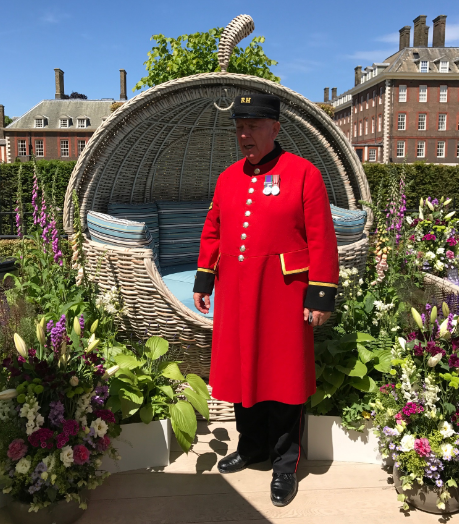 2017, of course, was no exception at all and you can see a full round up of the award winners and the gardens in general on the official RHS website here. 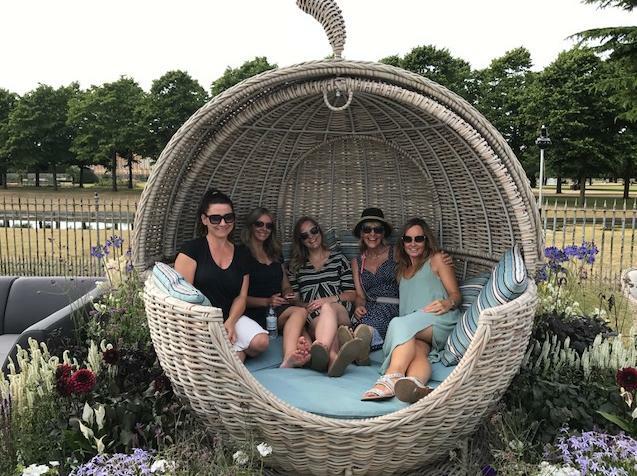 From our perspective as an exhibitor each and RHS Show brings something new but also gives us the chance to see some familiar faces and soak up the atmosphere in our own unique way. 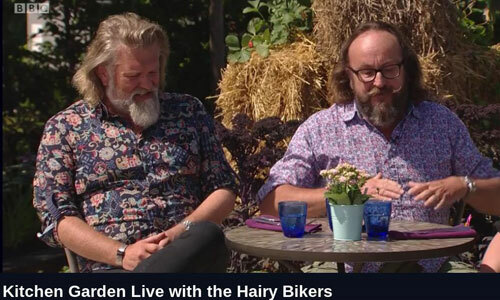 In the run up to the show we were contacted by Cactus TV who were filming the Hairy Bikers live from the Edible Garden for BBC iPlayer from each day of the show. They needed two tables for the show and very much liked the look of our Speckled Hen Mosaic Tables – of course we were happy to oblige and were delighted at the response; in fact the organisers had that many enquiries about the tables they asked if they could keep them for use on their other roadshows around the UK. Amazing what a storm a couple of tables can cause! The RHS Clowns are feature at many of the flower shows throughout the year and in our opinion don’t get enough publicity – they’re a genuinely amusing pair of characters who add that little extra dimension to the proceedings and at Hampton Court this year they popped in on a us for a visit with very entertaining consequences as you can see from the video above! Once again the RHS Judges saw fit to give us a Three Star Trade Stand Award for the presentation – something we always take great pleasure in receiving. As always the biggest highlight with the customers was the Apple Day Bed. 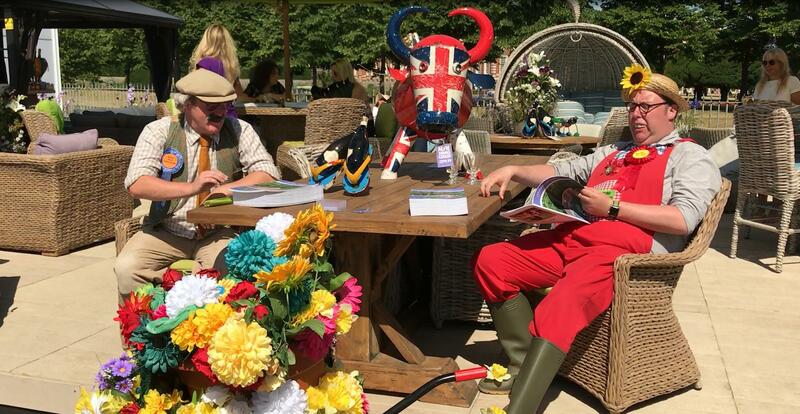 All in all yet another great RHS Flower Show was had by all. 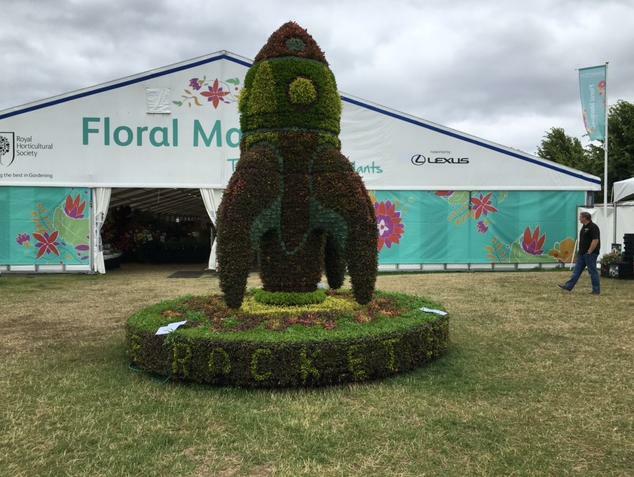 Hampton Court – Rocket Science but not as you know it!